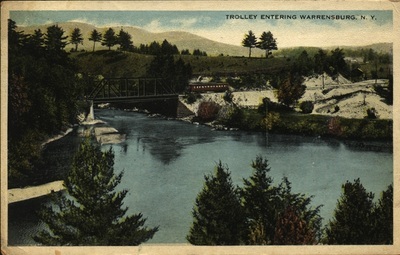 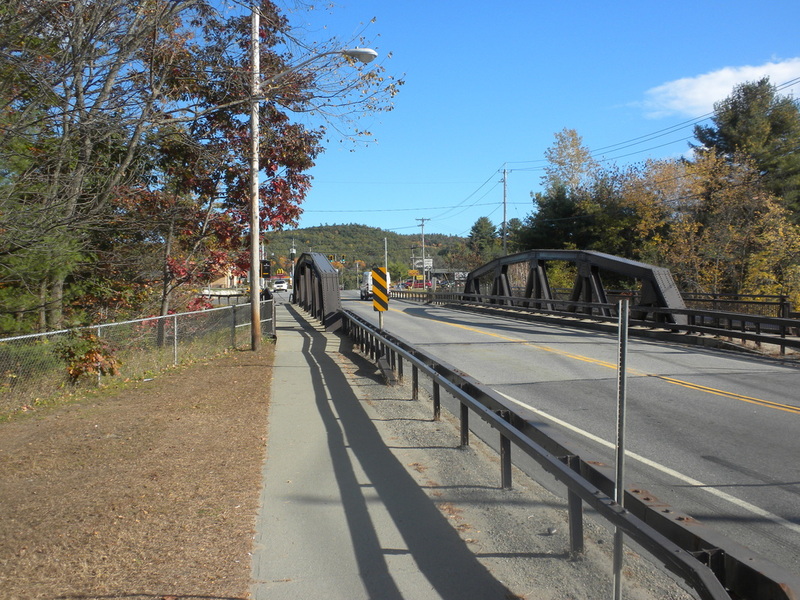 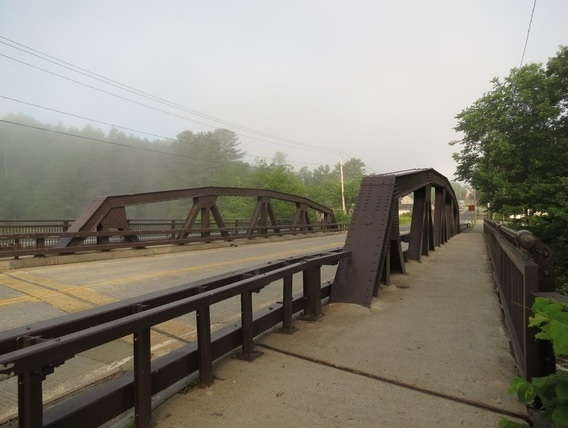 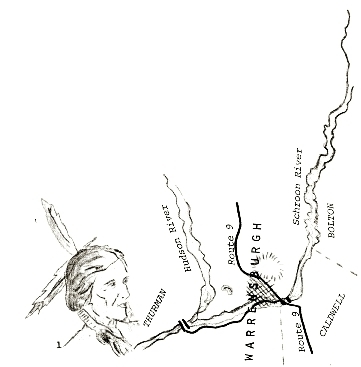 Warrensburgh was known as "The Bridge" before it got its own name, because it was the site of the only bridge in the county crossing the Schroon River. 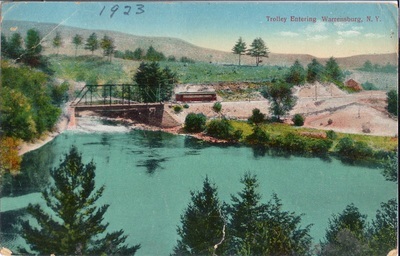 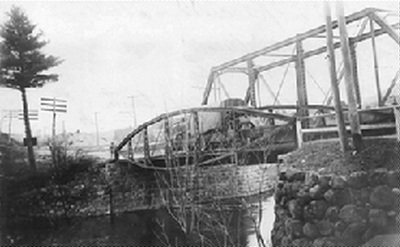 That bridge, located where the current Judd Bridge is now, connected the hamlet with North Caldwell (Lake George). 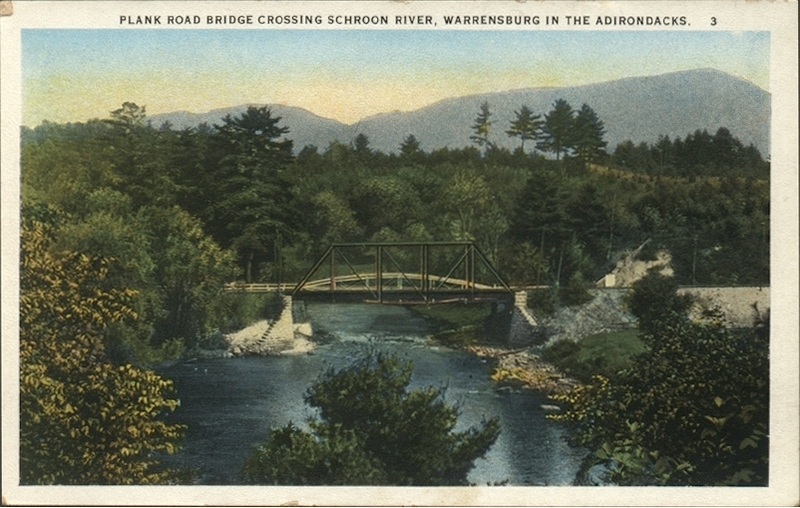 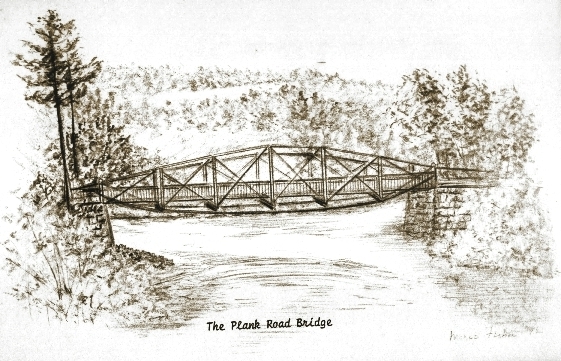 In the mid-1800s another bridge, built where Route 9 now crosses the river, became known as the "Plank Road Bridge" for the planked toll road between Lake George and Warrensburgh. 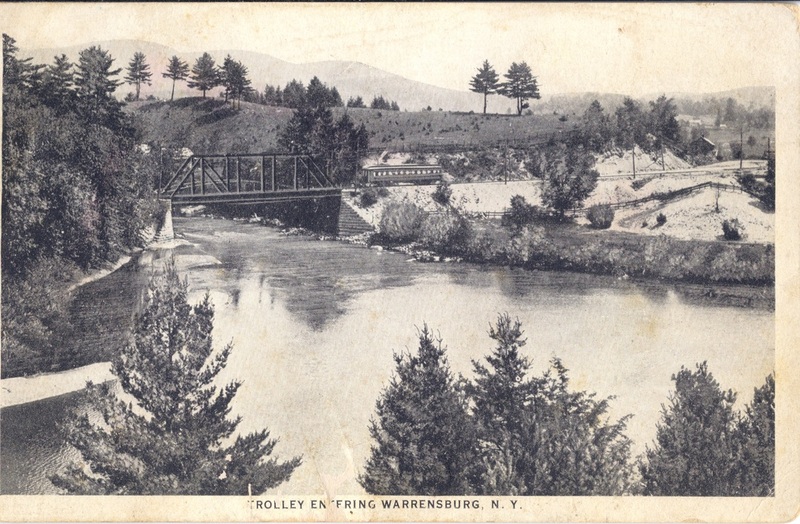 This was a welcome improvement for haulers and stagecoaches. In 1901 a trolley bridge was built adjacent, to accommodate the trolley line between Glens Falls and Warrensburg.